Easy Dairy Desktop Edition is a major language upgrade from previous versions of Easy Dairy and is the final release of Easy Dairy before we unveil Easy Dairy Desktop Live, our cloud based, mobile app compatible version of Easy Dairy. More information about Easy Dairy Desktop Live and Easy Dairy Mobile Live will be available very soon. Since launching in 2002, Easy Dairy has continued to grow and evolve with our industry. 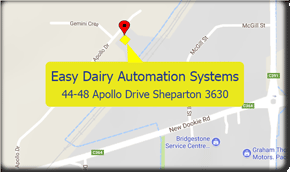 At Easy Dairy Automation Systems, we are committed to keeping our ever-increasing list of products and services up to date allowing us to take advantage of emerging technologies. This release has been 3 years in development and testing and brings Easy Dairy up to current development languages. Previous versions were developed in a programming language from 1999. We are now on a 6-month language upgrade cycle that will keep Easy Dairy on current programming languages moving forward. A whole new reporting engine allowing you to preview multiple pages and save reports to PDF for easy transfer. New visual designs and scaling compatible Windows 10. More reliable importing of external data from spreadsheets and other sources. Updates to handle new industry standard data files. Improved data safety and recovery. To get the latest features and fixes for your Easy Dairy installation, please download the Easy Dairy Upgrade, by clicking on the button below.